Our Mission is to Provide a Fun, Safe, and Enriching Environment for the Dogs in Our Care. 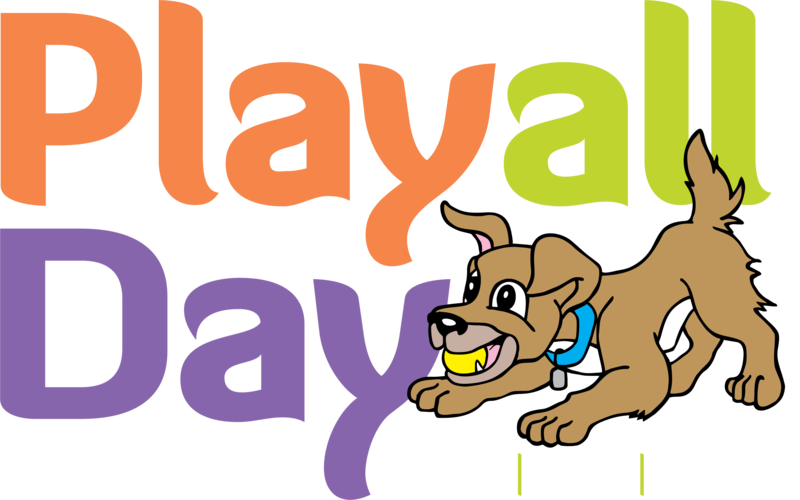 Here at Play All Day, our staff-training program and facility design, as well as the high quality retail items we offer in our market, reflect our commitment to fulfilling this mission. Thank you for visiting our website. Take some time and explore. View our Facebook Feed to the right to see fun pictures and videos of the dogs in our care. Give us a try – Your dog deserves it. We strive to create a safe, fun and enriching environment for the dogs in our care. Your dog will have access to balls, chew bones, and toys. And, of course, they’ll receive lots of scratches, belly rubs, and lovin’s throughout the day. Our hotel guests experience the Play All Day difference: play all day...snooze the night away. Boarding your dog is never easy, but knowing that they’re safe and that they’re having fun really does help. Training is one of the greatest gifts you can give your beloved companion. 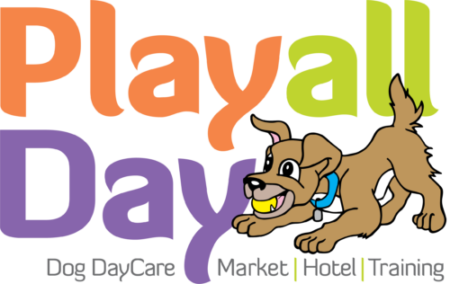 At Play All Day, our training philosophy is one of positive reinforcement that will encourage your dog to learn and will build and strengthen your relationship with your dog.